Magic stone pieces scattered over numerous mountains and rives. Absorbing essence of sun and moon day and night, the magic stones gain great power. They finally became Spinel which is new in game. Let’s have a look! The five elements restrict and generate each other at the same time which makes spinel unique. The five elements are Metal, Wood, Water, Fire and Earth. Spinel of each element can be embedded in Suit as Element Attack or Element Defense to provide fundamental and element attributes to the suit. If the spinel restricts the opposite, then the element attribute would increase; if the spinel generates the opposite, then the element attribute of the opposite would increase. 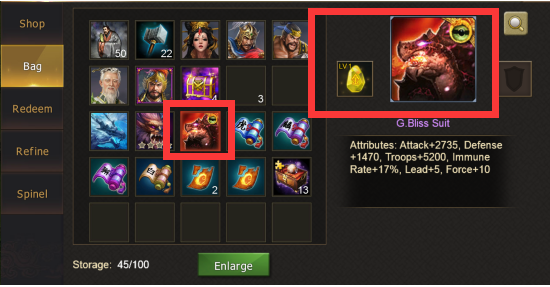 When Element Attack restricts Element Defense, damage would increase; when Element Defense restricts Element Attack, damage would decrease. Similarly when Element Attack generates Element Defense, defense would increase; when Element Defense generates Element Attack, attack would increase. 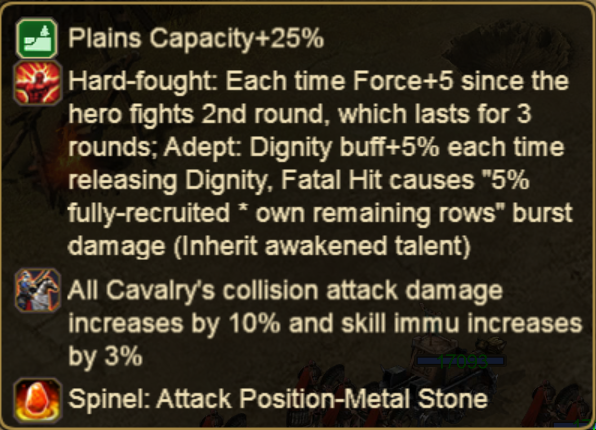 Spinel provides extremely high attribute buff for Equipment. Choose the suit you want to embed spinel on and click an embedding position to choose the spinel you want to embed. Each suit can only embed two spinel, one on Attack Position and one on Defense Position. Attack Position: (Effective Attribute) two basic attributes and Element Attack take effect. Defense Position: (Effective Attribute) two basic attributes and Element Defense take effect. 1.A suit cannot be embedded with two spinel of a same element. After embedding spinel, players can read newly-added basic attributes and element attributes of Attack or Defense Position on Hero Panel. 2.Embed Level of Spinel: Lv.1-Lv.10 in Common Suit; Lv.1-Lv.13 in S.Suit; Lv.1-Lv.16 in G.Suit. After embedding spinel in suit, genres and positions of spinel will be shown in the formation before battle. Lords can arrange the matches and orders of heroes according to the working system of spinel. Embed spinel according to their relationship can increase the winning probability significantly. You can only get spinel after winning battles in the stance of Five Element. More difficult to win the battle, more spinel you will get. 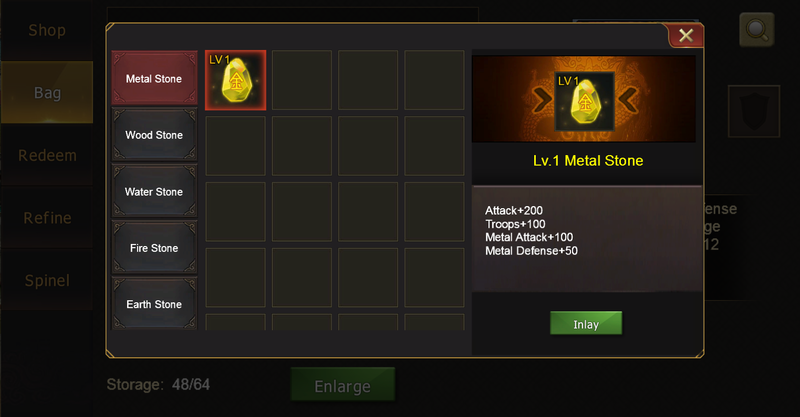 You can check the spinel you get in Equip Panel. Players can upgrade spinel by combining two stones of the same level. Higher the level of spinel is, higher Basic Attribute and Element Attribute of the spinel will be. 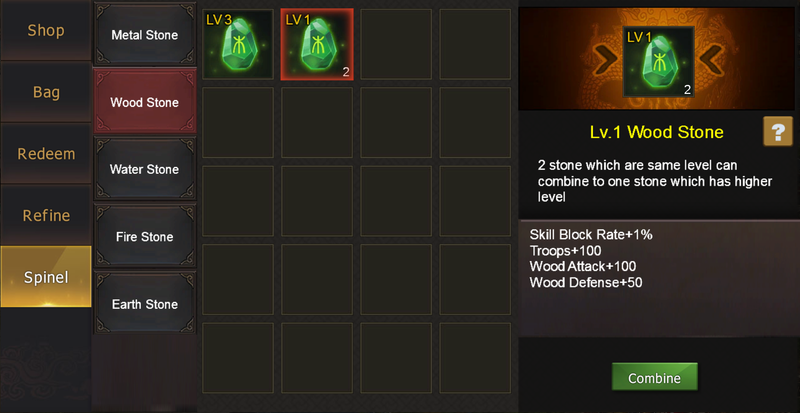 Max level of spinel is Lv.16.